Following is the translated (originally in Hindi) text of Hem Mishra’s letter, who is currently lodged in Nagpur Central Jail. Last month, 20th of August marked the completion of a year of my incarceration by the Maharashtra Police. In spite of being a cultural activist and a student of the well-known Jawaharlal Nehru University, I have been booked under several clauses of UAPA (Unlawful Activities Prevention Act). I have been imprisoned in the High Security Cell (called Anda Cell) of the Nagpur Jail in extreme segregation. On 6th September my bail petition was rejected in the Gadhchiroli sessions court of Maharashtra. Inside the closed doors of the jail, I had hoped that justice will shine through like a ray of light. But the rejection of my plea, has instead put my hopes to rest. The court order denies my natural right to breathe in open air and live a free life. Today, through the efforts of many democratic and progressive individuals and organisations, it has been ensured that the process of seeking bail from the court should begin as soon as possible. It has become a burning issue in the country today, that how the powers-that-be find it convenient to prey on dissenters and imprison them in thousands, in various jails of the country. It is due to the efforts of democratic and progressive people that even the Supreme Court has come to the conclusion that the right to seek bail has to be ensured to all prisoners-under-law. From time to time, the Supreme Court has given specific directives to lower courts as well to ensure this. Despite all these the Gadhchiroli Sessions has refused to accept my bail petition and enforced further confinement on a cultural activist. A court in Saudi Arabia on Oct. 27 sentenced three lawyers to between five and eight years in prison for criticizing the justice system on the social networking website Twitter by accusing authorities of carrying out arbitrary detentions. The Saudi Press Agency reported that the lawyers were each convicted of different crimes, including using the social media outlet to propagate against the Saudi judiciary, criticize Islamic Sharia law and interfere in the independence of the judiciary. The lawyers are also banned from using social media and traveling. The court also warned other social media users that they could face similar punishment for similar offenses and that they were being monitored. The damage to Israel’s credibility can’t be exaggerated — the Zim line, though privately owned, is an Israeli “security asset.” Israel exerts control over the corporation through a “golden share” which it uses to prevent the sale of the company into foreign hands. The Zim line is mandated to be part of Israel’s critical supply chain during protracted military conflicts. The brand and economic impact on Zim has yet to be calculated, but is surely devastating. 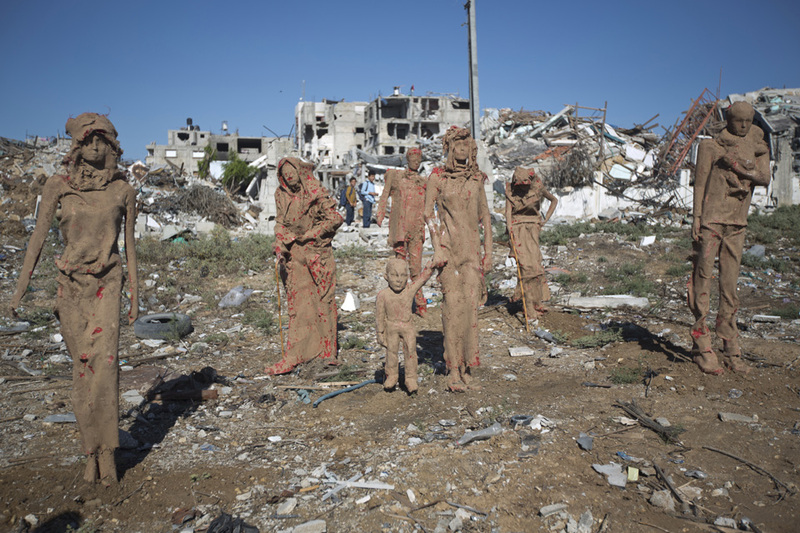 Goods have been rerouted, and undelivered for months. 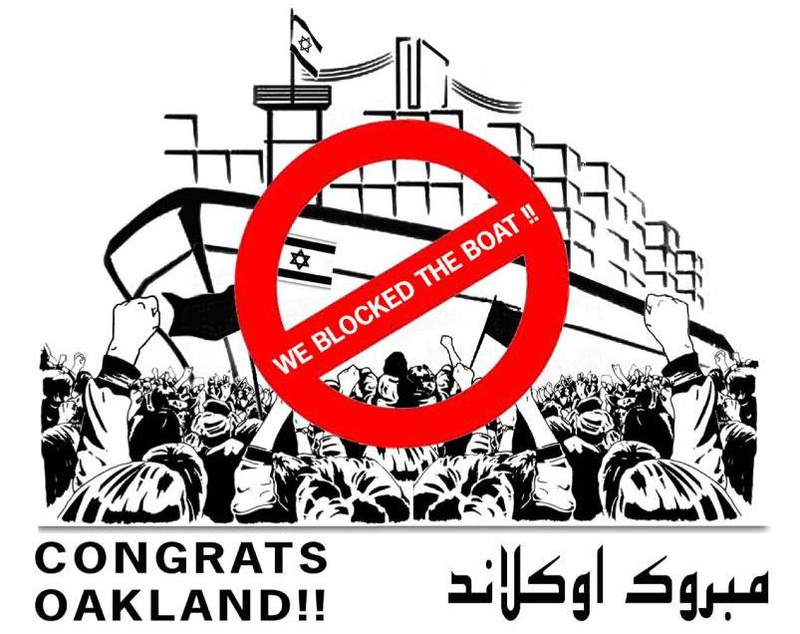 ILWU workers have honored our pickets and sided with the community against US complicity in Israeli apartheid. Zim has been disrupted and confronted by anti-Zionist protests in Seattle, Tacoma, Los Angeles, Vancouver, New Orleans, New York and Tampa. Ports all over North America are making it clear that Israel can no longer conduct business as usual because Zionism is simply not welcome on our coasts. The British government’s role in licensing the sale of arms to Hong Kong that could be used for “internal repression” has come under scrutiny. John Stanley, chairman of the Committee on Arms Export Controls, has written to Business Secretary Vince Cable, asking him to clarify if “Made in the UK” tear gas canisters were used against pro-democracy protesters. The letter, dated October 21, also contains a list of approved British export licences of lethal weapons to Hong Kong since 2012. 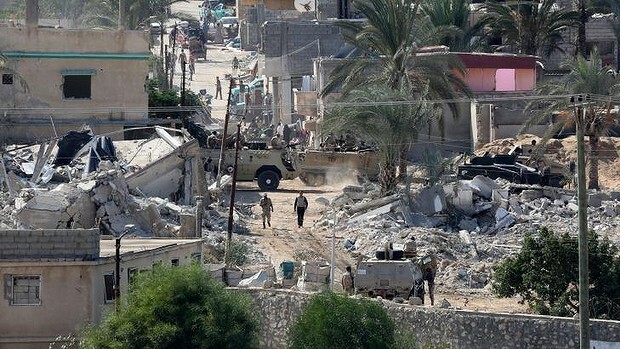 Grenade launchers, mortar bombs, sniper rifles, machine guns and gun silencers are among the weapons, according to the committee’s analysis. 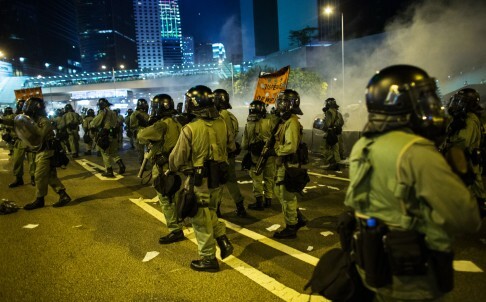 Since 2008, £1.4 billion (HK$17.4 billion) worth of licences for arms and equipment sales to Hong Kong have been approved, according to official records. 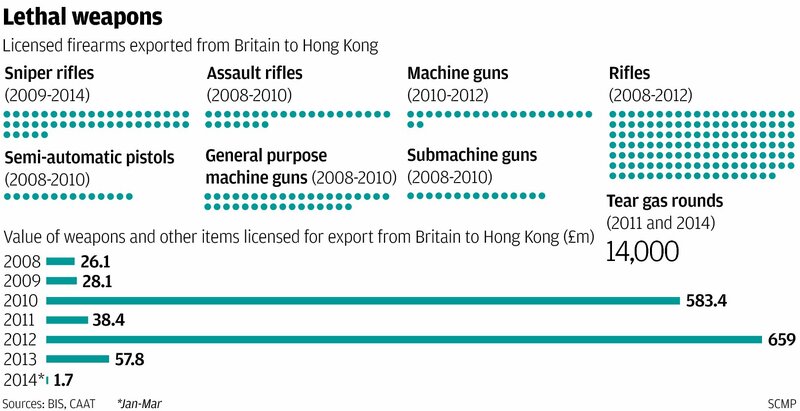 A British government review of weapons licences to Hong Kong is under way – and could end these exports.